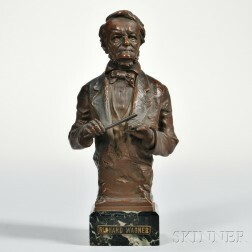 Save your search - find out immediately when "Richard Wagner" is available at auction! Meyerbeer, Giacomo (1791-1864) Signed and Inscribed Engraved Portrait. 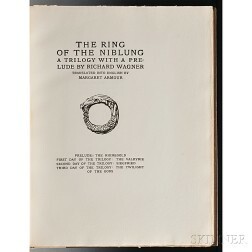 Wagner, Richard (1813-1883) Autograph with Musical Phrase. 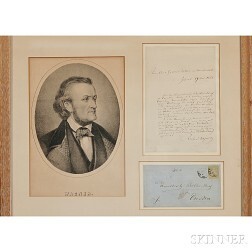 Wagner, Richard (1813-1883) Autograph Letter Signed, and Holograph Envelope, 19 May 1858. Paul Wagner Roth (American, 1877-1966) Haystacks in Winter. Peter Wagner (American, 21st Century) Winter Stream.